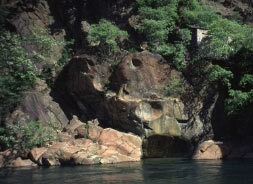 is in the municipality of Lanzo Torinese. 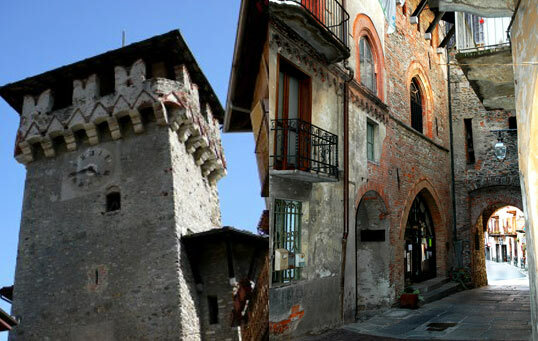 Tower of Aymone di Challant and Lanzo’s historic centre. 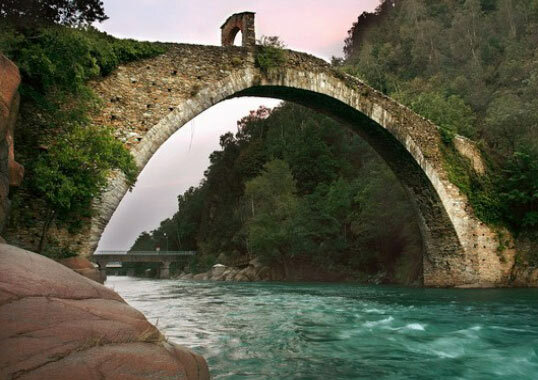 The Gothic arch of Ponte del Diavolo (Devil’s Bridge) stands 15 metres above the river and is 37 metres long; the bridge spans the divide between Monte Basso and Monte Buriasco, upon which sit a castle and a fortified village. The bridge was built in 1378 by the Credenza di Lanzo, what today might be called the local council, and is a fine example of Medieval Piedmontese architecture. one hour’s drive from our B&B.